Happy Saturday, everyone! Today it truly is a happy Saturday at Two It Yourself. We're so thrilled to welcome our first guest blogger, Cara from the Craft Dictator. Let's give Cara a big warm 2IY welcome. 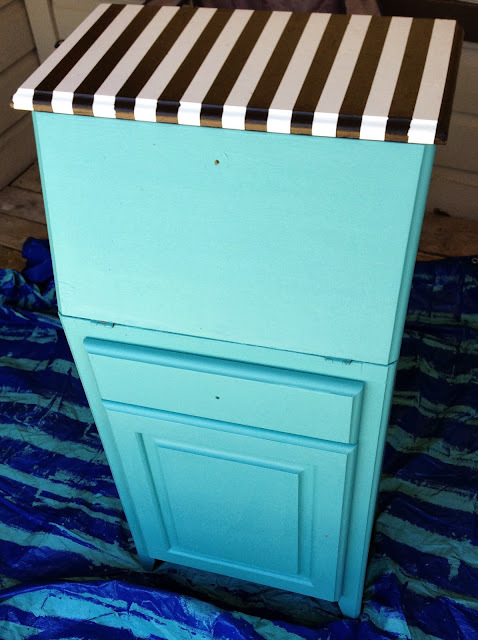 Today I'm going to talk about a piece of furniture I recently redid! I got this white piece of furniture from my mom a couple of years ago. It has lived in a bathroom, a kitchen, and a living room. Currently it is in my hallway. 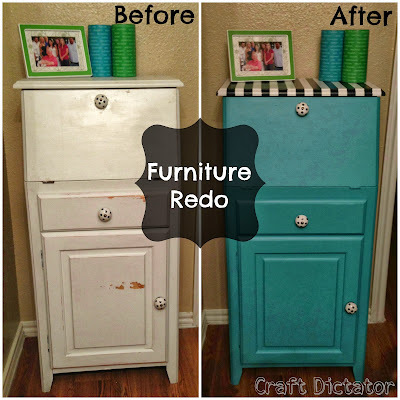 It is a very versitile piece of furniture that is great for storage, but we never really painted it. It was kind of painted white but it wasn't painted well. 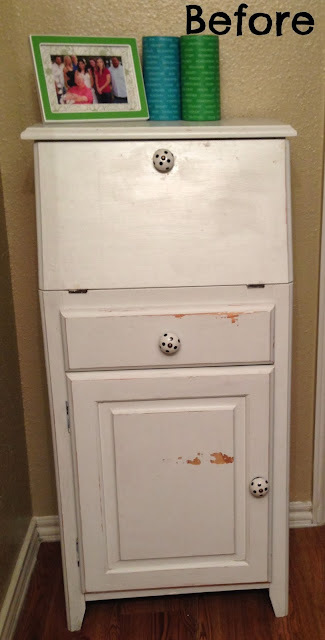 Then I got polka dot knobs on it about a year ago but never repainted it! For some reason last weekend I decided this was going to be the weekend this piece got painted! This is what it looked like before I started. 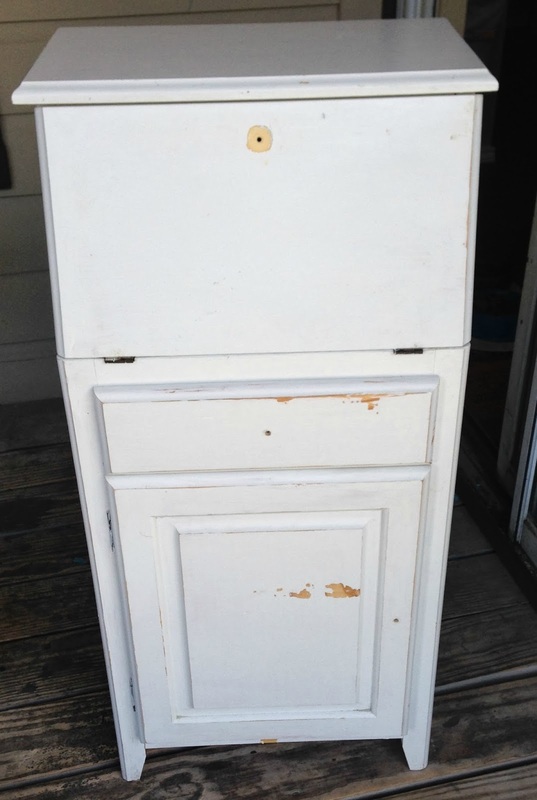 I took it out side and cleaned it up and took off the knobs to get it ready to be painted! 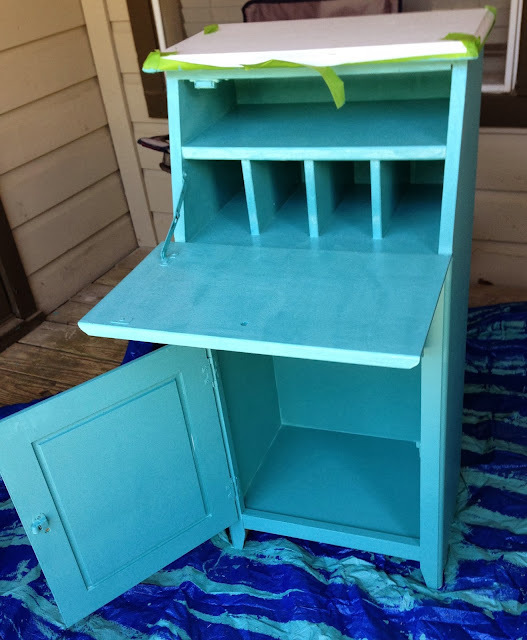 I decided that turqoise would be the color I wanted. Just because I love the color! 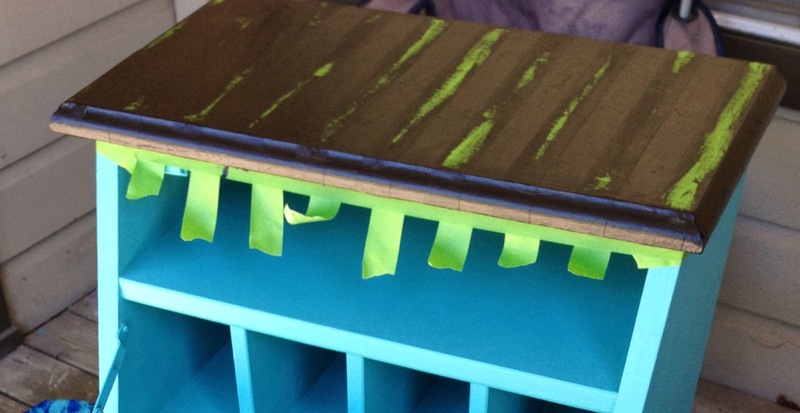 I started by taping off the top and just painting the bottom. Some of the little cubby holes were hard but I eventually got it a solid turqoise after a few coats of paint! Then I decided I wanted to stripe the top. I thought this would be cute with black and white stripes on it! I taped off the whole top in even stripes. Then I painted it all black. I didn't want to mess up any of the stripes so I let it dry for a little over an hour. I sometimes like to jump the gun and take the tape off too soon! Once I took the tape off it looked like this. It was now ready for the polka dot knobs to go back on and to be moved inside! I absolutely love the way it turned out and it definitely adds a pop of color to my hallway! Thanks for coming by and I would like to thank 2IY for allowing me to guest post! 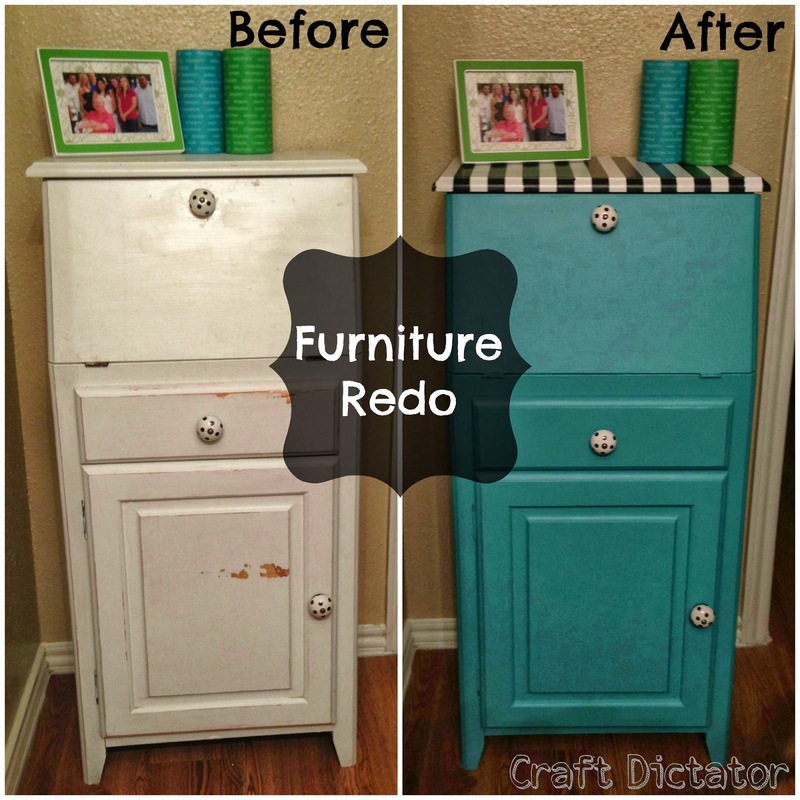 Email/Bloglovin/Facebook/Twitter/Pinterest/Instagram/Flickr We think Cara did a fabulous job on her furniture flip. 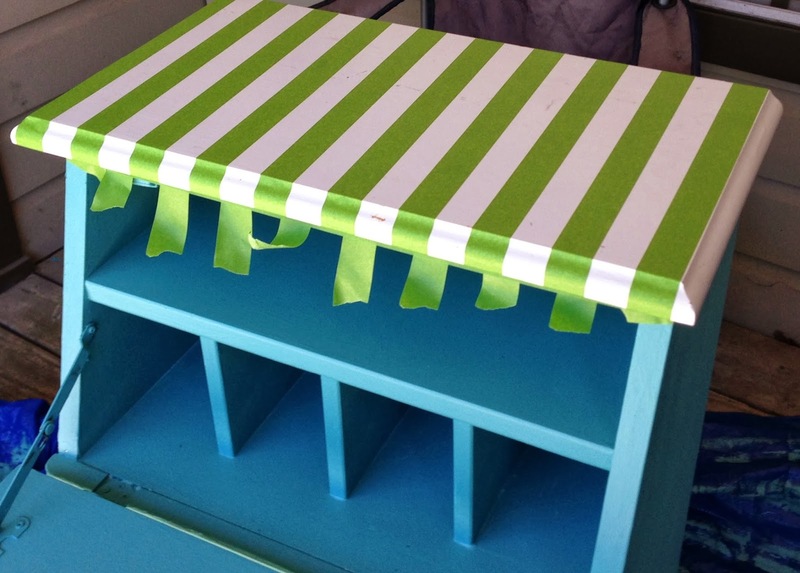 To check out more of her awesome projects head on over to Craft Dictator. While you're there be sure to check out 2IY's guest blog feature! If you'd like to guest blog on Two It Yourself email us Melissa_Viscount (at) Yahoo (dot) com.